Here’s the truth: Every writer needs to know how to build a writer platform. Are you a writer who is overwhelmed by the rapidly changing industry? The more adventurous among you are ready for the challenge of building a writer platform and growing your community – but have absolutely no idea where to start. Some of you find it slightly horrifying that you are required to write and hock your wares, but are prepared to do the work, however distasteful it is. And a few of you are gnashing your teeth, insisting it was much better in the “good ol’ days” when writers were expected to write – and someone else handled the smarmy promotional bits. Looking around, you feel a bit deflated. You see authors with several books out, who have all manner of credentials to their name, and platforms as big as those of a rockstar. How can a newbie writer compete? Right now, at this very moment, you have a massive lead over many others, whether they are just starting out, or have already been published. The fact that you are aware of the importance of a platform before you’ve even written your first book is big. And if you actually start working on your platform now, growing your audience and influence as you write – before the book deal, before the launch– your “competition” becomes irrelevant. Your biggest problem is not other writers or other comparable books in your genre; it’s obscurity. People can’t read a book they’ve never heard of. People won’t buy a book they don’t know exists. This problem isn’t exclusive to writers. Anybody with something to share – a product, an idea, a message – needs to find a way to get it in front of the people who care. How you do that varies, but all your actions taken together form the act of building a platform. Your writer platform, in essence, is the variety of ways you use to connect to – and engage with – the ideal readership that is receptive to your work. It’s also the amount of influence you wield, the level of visibility and authority you’ve gained, and the depth of your connection with your readers. Rather than thinking of your platform as a stage from which you talk at your audience, think of your platform as a bridge – a way to connect or close the gap between you and your fans. A way to talk with them. By starting early, you give yourself the time to develop an authentic two-way connection with your growing fan base. You also give yourself the opportunity to establish a strong foundation on which to build your writing career. With no time and nothing to offer, how can I build my platform? Let’s address your specific concerns. Starting something new always requires more time, more energy and more upfront effort than doing the same old thing. Anybody who has learned to drive a car, started a new job, or had a baby has experienced this. So be prepared to accept and deal with the natural overwhelm and time expenditure that comes with establishing your new writing career. Your work is worth it. Commit to it. Give it the time in your schedule that it deserves. What isn’t a priority doesn’t get done, so if you expect results, make sure you’re allotting time for the actions that will get you there. Remember, your job is two-fold: create something brilliant, and then get it into the hands of the people who can recognize its brilliance. Just as you wouldn’t plan to open a restaurant without a chef, don’t write a book without a plan to help people read it. Get ready to step outside your comfort zone and live there for a while. It will get easier, as most things do, but you’ll need to put in the time and effort first. Stop treating your writing like a side gig or it will remain so. Share just how big your goals are. Don’t keep them a secret. Write them out, tell your family, friends and peers. You might be surprised at the support you get when they see your commitment. The bottom line is: no time equals no career. It’s really that simple. As with your writing, it’s only by doing that you get better, so instead of worrying about proving your credibility, focus on earning credibility by providing useful content to your audience. Do this by getting to know your target audience inside and out. Discover what they need, want and value. What are their interests? Who are they influenced by? Skip this step, and your job becomes much more difficult. Nail it, and you’ll never be at a loss for interesting, valuable content. By providing content that your readers crave, you get people to buy into “brand you.” Your early supporters – those who see the diamond in the rough – often become invested (and sometimes pivotal) in your future success. You have value, and what you do matters. Practice selling your value now – to yourself and to others. Know what you can bring to the table, and own it. Start building relationships with other writers, bloggers and industry influencers. Add to the conversations on their blogs and on the social media platforms they’re active on. Share or review their work when appropriate. Take a minute to reach out and let them know you’re a fan of the work they’re doing. People will notice. Your platform is where you can start building the relationships, the authority, the testimonials and even the “numbers” that endorse the quality of your work. So get started. When writers ask me this question, I know I haven’t made something über clear: Your platform is about connection, not selling. Selling more books, amplifying your message, extending your reach and influence – these are all positive, natural “consequences” of creating a strong platform, but it’s the connection that is the real asset. Building relationships over time, earning trust and showing genuine interest in your community is what allows you to influence your audience’s actions (to purchase your book, to share your posts, to spread your ideas, and so on). That’s why starting early is so important: trust can’t be rushed or expedited. It is also why not having a book published yet is somewhat irrelevant. You need to be absolutely clear on what it is you have to share (define your author brand) and identify the group that will benefit from it the most (your ideal audience). Another plus to creating this targeted community is that you can get valuable feedback and insights on your projects before you publish or present them to an agent. You can gauge reader interest, gather feedback on works in progress, and ask questions to ensure you “get” your reader. Should you incorporate every idea and bit of feedback into your writing? Nope. It’s your work, you decide. But learning what your readers want, the words they use to ask for it, and even where they go to find it, will make marketing your book – when you do publish – infinitely easier. It should be clear by now that all you need to build a writer platform is commitment, patience and perseverance. 1. Know yourself and know your audience. Define your author brand. Do the research to identify your ideal reader. Who exactly are you trying to reach? 2. Set up your author website and start building your email list. For more on how to do this, check out Mary Jaksch’s course on how to Kickstart Your Blog. 3. Get social on social media. Determine where your target audience hangs out online, and be there. If the horror of having to “sell” your own work hasn’t abated, here’s what you need to do: reframe your thoughts on platform, marketing and self-promotion. At the core, you are simply finding ways to engage with people who are most inclined to love your work. It only gets icky when the effort and engagement isn’t genuine, so focus on relationships, not selling. When you’re square with this, follow the advice above on getting started. If you’re still reading, but unconvinced that things are better now than they were in the “old days,” here’s my take: like it or not, the industry has changed. Writers can choose to capitalize on these changes, and learn to approach their careers from both the creative and business sides. Or they can continue to bemoan their circumstances and get left behind. So don’t wait for perfect. Don’t wait for more time, more credentials or until your book is published. Don’t get lost in obscurity. Seize the advantage that starting early affords. People deserve to experience the work that you create. What has been your experience with building your writer platform? Share your tips and challenges in the comments! Kimberley Grabas is a writer and the founder of YourWriterPlatform.com, where she provides writers with the resources, tools and inspiration they need to build their platform, engage their fans and sell more books. Download her free eBook, The Quick Start Guide to Building Your Writer Platform. All types of Commemorative and special occasion thimbles. Wide selection. You people are doing a marvelous work at Write to Done. Your articles have helped me a lot. Great work! Please keep it up. I am rearing to go. I’ve had a blog for a while now but I’m on the verge of starting afresh. New website, WordPress style. I’ve read, consumed, even hungrily devoured information about platform and tribe building. I am actually looking forward to setting up my social media (twitter, Facebook, Pinterest) as a writer. My first ever novel is still in draft but I hope to self publish later in the year. However I am stumped as to what to actually communicate on my blog. What information do I share? Chomping on about my progress on the journey to self publishing is probably not going to be riveting enough. I could transfer some of my old blog posts that have considered the excitement and growing word count from my NaNWriMo experience. Other than that….. I’m really not sure. I don’t have any giveaways up my sleeve, or juicy insights into the publishing process. As for your question about what to write about on your author blog, the trick is to know your target audience well enough that it becomes obvious what to share with them. Good friends always spark interesting and engaging conversations–you never run out of things to chat about with people you are genuinely interested in, and who share similar interests. By getting to know your audience better (even if you have to do a little stealthy research), it gets much easier to discover post ideas that will entice your readers to stick around and get to know you and your work. Check out what’s working (and what’s not) for other authors in your genre, look at what top bloggers are doing to earn the attention of their readers, and even go outside the writing industry to see if what can be tweaked to suit your style and author brand. What catches your attention? What are your favourite authors and bloggers doing that keeps you reading, when there is other work to be done? If I may chime in here? The biggest struggle I had was learning that things that happen in a given day may seem trivial to you, but to others they are fascinating. Remember that the majority of the world lives vicariously through others. They “wish they were like” or “want to be” a certain person. The only way they know how is to read about their lives. Hence the popularity of People Magazine and ones like it. At first, talking about everyday events seemed stupid to me. As I continued to do it, I began better and better at translating everyday events into the message I was trying to get across. It could be something as simple as meeting someone new for coffee and the conversation you had or your latest Mountain Climbing adventure and the outcome of it. While keep it target audience specific is everything, making it relatable to them is just as important. Readers like relatability. Readers like vulnerability. Thanks so much for this post. Last fall I had my writing site and blog completely redone. Now I’m am working on building my readership as I work on finishing my novel. p.s. I just discovered CommentLuv via your site – again, a second thank you, I like the ability for commenters to link their latest works!!! I’m considering adding it to my own site, as well. Thanks for the post, I enjoyed reading it and absorbing it. I am a creative at heart, and due to my 18 years as a business professional now morphing into a professional writing career, I am launching my platform via website, social media and through my own networks. I do crave to write novels though – this was always the thing I did effortlessly (creative writing, not completing whole novels!). What are your thoughts on people like me? I.e. born to write fiction but in order to pay the bills, writing professionally. Are there differences to the platform you launch for creative writing and professional writing in your opinion? Have a look at my response to Esme’s question above. I do think there are different ways to approach fiction and non-fiction platforms, but fundamentally your goal is the same: to build a meaningful relationship with the people who “get” your work. The “how” is at least a blog post (if not a book), and is often determined by first taking the time to know your reader inside and out. Hello — I’ve come to this post through a link, and was intrigued by the content. I’m a writer from the “old school” (MFA from a top program, have a literary agent, etc. ), and am curious as to what you think the future looks like for literary fiction and self-publication. I’m quite aware that nonfiction is capable of making a big splash when self-published with a platform, and it’s true that I’ve seen vampire thrillers and “50 Shades”-type books have a successful run, but what of writers who’ve worked hard to hone their craft for the purposes of fiction that’s a bit difficult, and not necessarily easy to sell? I’m no Tolstoy, but how would Tolstoy go about trying to build a platform/market for a self-published “War & Peace”? Some writers/book marketers feel that there is a distinct difference between non-fiction and fiction writers when it comes to building a platform, with a few going so far as to say that fiction writers shouldn’t even bother. Others insist that the bigger the platform, the bigger the rewards, regardless of writing style or genre. My personal take is this: your platform has two components. It is the application of tools effectively utilized to help you develop a deeper relationship and connection with the people who are already inclined to appreciate your work (i.e. your ideal readers), as well as the increased authority, influence and reach afforded by these relationships. From this perspective, it is irrelevant whether you are a fiction writer, non-fiction writer, or Tolstoy–a platform is necessary for anyone who wishes to connect with their ideal readership in a meaningful way. The tactics and techniques on ‘how’ you develop your platform may be (and usually is) different for fiction and non-fiction writers, but understanding what you have to offer as a writer, and to whom you wish to offer it to, remains the foundation for all platforms. Does that answer your question, Esme? Nice article! To believe our work is worth it, we have to believe we are worth it. Creating a platform to honor our work helps us write more boldly and confidently. Half the battle is recognizing our own worth as a writer. It’s super hard convincing someone else that our work is worthy (of their time, interest and money) if we don’t believe it ourselves, right Jackie? Thank you for sharing this info. I want to be a good writer and your information is so helpful for me. What about those of us who just don’t want to write books? Or those of us who have no clue about the target reader since it is filtered through a third party (short story publisher and whatnot)? I know I just have no desire (at the moment) to write a novel. So what would I do with this in mind? As I mentioned previously, selling a book, a product or even an idea is a secondary, but happy result of crafting a strong platform. But there are two requirements that MUST be in place in order to build a relationship with an audience: you must know exactly what you wish to share, and with whom you wish to share it. Without knowing those two things, it’s not likely that you will attract a following. It’s impossible to build a strong relationship with somebody you know nothing about. And it’s impossible to share your “why” with people, if you haven’t figured out what it is. So my answer to your question is two more for you, Matthew: what do you have to offer (your message, your philosophy), and what group will be most receptive to that offer? I just have story writing to offer at this point, and I haven’t a clue on who would be receptive since I am not in control of readers (at this point). My “customer” are other people who publish it for me, but other than that, I haven’t the foggiest on where to start. Sorry Matthew, but I’m not sure I understand your situation. 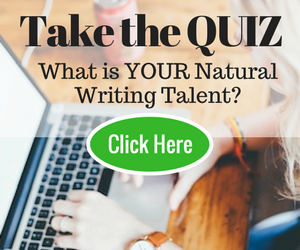 Are you writing articles for magazines, or maybe a ghostwriter? Fiction for magazines, and other electronic mags. I do have my own blog and write some guest posts, but I have no real target audience because my fiction is going through third parties. It might be helpful to do a little research on the magazines that are accepting your work and find out who they’re targeting. Clearly, if they think your work will appeal to their readership, it’s a group you should look at targeting directly. You should also spend a bit of time researching other writers whose work you feel is similar to yours, and take a look at their audience makeup. For more on targeting an audience, you can have a look through this post: http://www.yourwriterplatform.com/how-to-target-an-audience/. Thank you for the information and I do appreciate it, but I have no idea who the actual customer is on the other end of the electronic / physical magazine since it is far too diverse for me to target people. Since the real customer is the magazine itself, it is a challenge for me to even target something to them. As far as other writers go, I don’t read other fiction writer’s work at this point. I spend too much time analyzing the product and not enough time even enjoying it, so that’s right out the window. I have a feeling this might just end up being more of a hobby at this point since it appears that I am doomed to a life of obscurity. Kim, I just read your ebook. I am impressed. I like your question-answer style. Short questions followed by brief and specific answers. Tips are relevant, backed with leads. Well done! God bless. Hi Ignatius! Good to see you here! Great points on building it before things happen, Kimberley, instead of after. I use my blog to showcase my writer’s work ethic in terms of consistent posting, using the standard length of newspaper columns instead of blog posts, and for reposting what I write for other sites. So far so good, but the idea of an author’s platform seems to get replaces by the idea of a blogging platform. What’s the difference? I think you’ve got it right when you say a writer’s platform isn’t about selling. I’m beginning to think a blogger’s platform is all about selling. So far, that check is still in the mail. The concept of “platform” is the same whether it’s a writer’s platform or a blogger’s platform. Or a painter’s or a designer’s or a musician’s. But the implementation varies, and those people who have successful platforms have managed to find a way to align what they have to offer (a product, service, book, idea or movement), with what their particular audience desires. They’ve earned a strong relationship with their audience, and reap the benefits of that trust and connection (in the form of sales, buzz, and so on). Selling is a good thing! We deserve to be compensated for our work. But your platform is much more effective as a tool for connecting first. What a post it is! It has increased my faith on universe more. Now it is clear to me that universe has been conspiring in favor of me as I have received an utmost inspiring post today. Now it is clear to me that my audience is present in the world but I am obscure to them. Very many thanks for it and I have more in my heart but words cannot express it! I’m happy to know that you’ve found some inspiration from the post, Surinder. Best of luck on your writing journey! I was just told my audience is not on facebook. I am a current event kinda girl. I want to know where we are at on a world scene. where do you recommend to invest valuable time to those who want to be informed on the current affairs? It’s a bit tricky to give you advice on what social media platform to use based on just one aspect of your audience, Melinda. Many things come into play, like age, gender, ethnicity, education, income, generation, location, attitudes and habits of your readers, as well as your particular aptitudes, interests and what “medium” works best to share your message. With approximately 1.15 million Facebook users, however, it’s not likely that your audience isn’t on Facebook (unless your audience is teens or children), although there may be a better fit on another platform. This post was meant for me to read! Starting a website or platform is extremely overwhelming when you start to look at how far everyone else already is – But like you said, in a way, newbies have a head start because we don’t have to deal with the change of industry, we can just learn it and run with it. The change of mindset early on, from making transactions to building connections is what I believe is the most important part of gathering an audience. People buy who they trust from, and if you come out selling right away, nobody is going to trust you. Another great point you made is to learn what your reader wants. It’s hard at first to swallow your pride on what you think is good vs what your reader enjoys but it makes perfect sense when trying to create value. Listen, George, if you need the whole page to continue complimenting my post, you go right ahead! I’m glad that you can see the advantage of being “new”. There is no baggage, no expectation. And by having this info early in your career–and the right mindset–you might be able to accomplish in months what it’s taken others years to build. As overwhelming as building your platform may seem, know that it is more than doable. Allow yourself the time to be inexperienced. Don’t be discouraged by what other writers have accomplished. Instead, view them as examples of what’s possible for your own writing career. Thank you for sharing this info. I’ve started building a platform. One surprise benefit has been meeting and building online relationships with people. It’s fun! I’m so glad you brought this up, Marcia! Meeting other writers, bloggers and entrepreneurs has been–for me–one of the most rewarding aspects of building a platform. I find it fascinating that I’m able to “talk shop” with people from all over the world! That I can share experiences and interests with people I would never be likely to meet otherwise. And it’s even more rewarding when your writing has left enough of an impact on somebody, that they’ll actually take the time to get in touch with you (via your blog, social media or email) to let you know that your work or your message has made a difference. Writers could benefit a lot from the writer’s platform, as their reference point to sales, and relationship. All writers would want genuiune authorship, from sole professionalism, and accept to build a cogent base, or stake, for a future career. I write articles, and post, to social media platforms -Facebook, Twitter etc. I am aspiring to write, and publish the ebook, when I actually gain attention from my fans, or rather, engage the true readership. I believe, the writing approach is a step-by-step affair, with concern for writer-reader relationship, and growth. The situation of enduring to get to the target, may be somehow slow, in some cases, when targeting the readers is getting long, or tasking. But, it could be worth waiting for. It’s true, Adegboyega, that it will take time to build a platform, a readership and a relationship with those readers. But as you note, it is well worth the effort (and the wait). What a great post and such detailed information. One of my group members pointed this post out to me and I am happy that he did. Thanks for taking the time to comment, and I’m glad you enjoyed the post. I’m glad you found the post useful, and best of luck on sharing your work and your vision! Love this Kimberly. Great post, and I’m checking your site out now. And you know what? While it’s not recommended to do all of this in a random, disorganized fashion, with no plan or direction… sometimes just going out and “doing a bunch of the stuff” you mentioned in this post can help. Once you see that this is as simple as just “getting out there and doing it”… then perhaps re-organizing your efforts into a more focused plan and moving forward… it becomes rewarding and less uncertain. Figuring it all out beforehand just slows you down, from my perspective. There is no reward in inaction. Sometimes you just have to leap off the cliff and try something. But I do think it’s important to have a plan of attack, at least loosely figured out, so that you can track what’s working and what’s not. If there are too many variables, it’s impossible to know what impacted the outcome. Thanks for this comprehensive post explaining what a platform is REALLY about, Kim! A lot of us are stuck on the idea that it is a stage when it’s really all about connection. I think that framework makes it a lot easier to start building a platform. Thanks, Bobbi! It is unfortunate that the term “platform” evokes the wrong imagery for what is (or should be) taking place. Your platform is only truly successful if it provides a way for you to connect and engage with your readers. Keeping that in mind reduces the risk that you’ll employ “tactics” that may artificially boost numbers, or add nothing to the conversation.